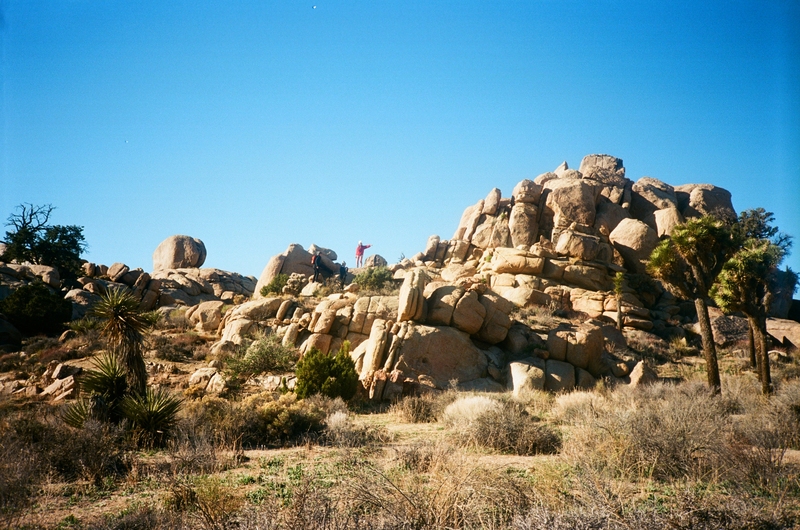 Southern California is a land of enchantment. There is an alluring oasis where the Colorado and Mojave desert meet, full of outdoor adventure, stunning vistas and artistry. 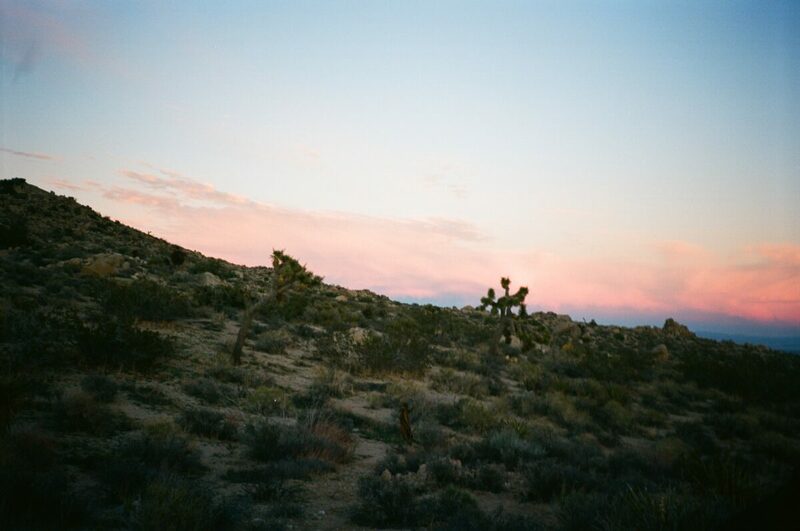 If you haven’t already guessed, we’re talking about the iconic town known as Joshua Tree. On our recent road trip we discovered the Top RV Campgrounds, the Best Places to Dine, which art installations to check out and so much more. 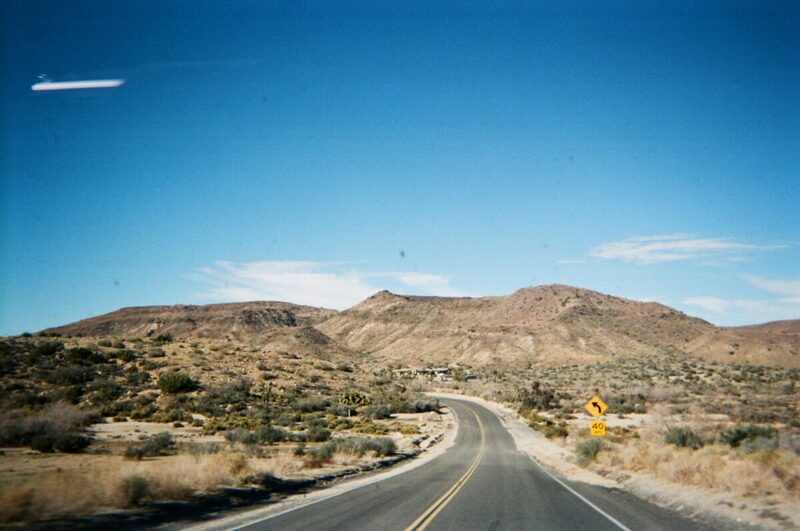 Below we’ve given you all the details on where to go in Joshua Tree. 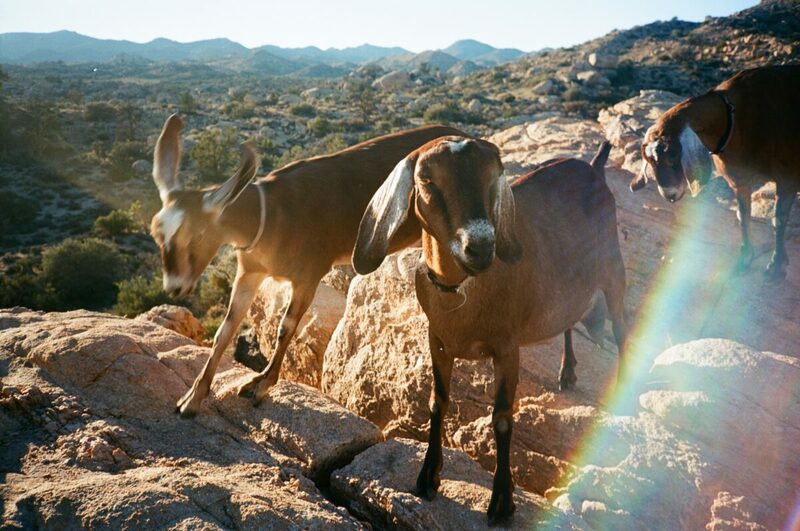 There’s even a goat hike involved! Enjoy our ultimate road trip guide below. Yogi Goats Farm is an experience like no other. 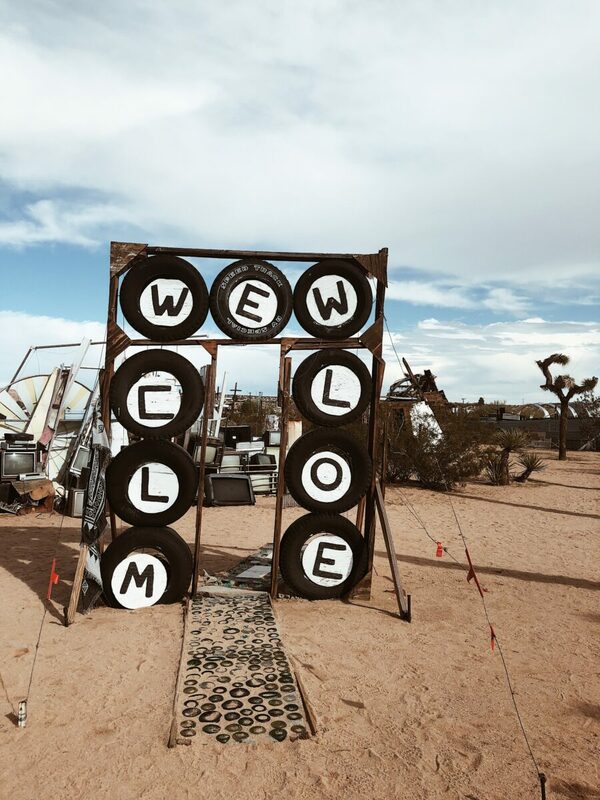 When you arrive you will be greeted by your host Emmanuel, a yoga instructor and massage therapist who moved to Pioneertown ten years ago in pursuit to live simple and full. His beautiful farm is packed with Nubian goats, chickens, a vegetable garden as well as unique yurt camping experiences. From the moment you step foot on this stunning property you will be surrounded by granite boulders, iconic Joshua trees, and the unbelievable vista of miles and miles of the Mojave’s high desert. Emmanuel introduces you to his goats by bringing you into their pens where you will greet and learn how to enjoy your hike with these magical animals. After the 15 minute introduction, the hike begins! The easy pace of the hike makes the experience ideal for children and senior’s alike. 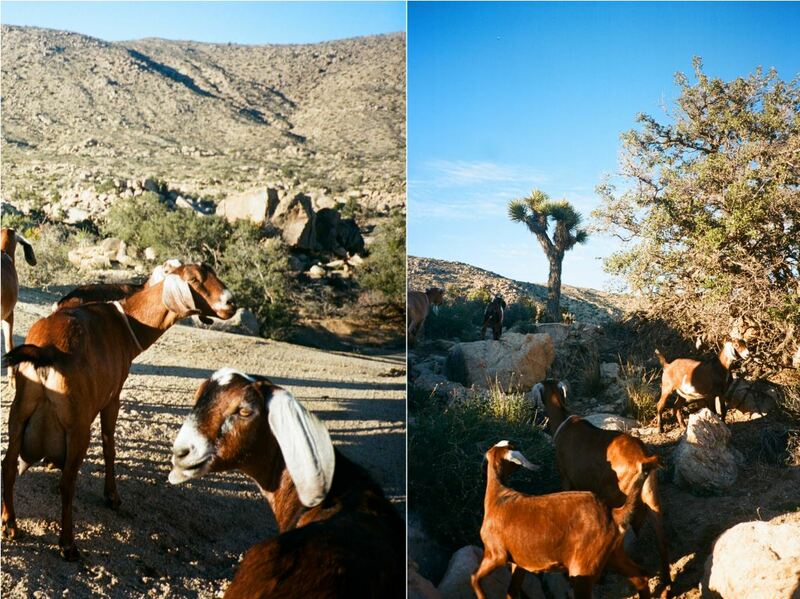 As the goats lead the way you will enjoy a leisurely three mile stroll through untouched territory that rivals Joshua Tree National Park. The hike is designed with multiple breaks so you can rest, take photos and soak in the magic of a Southern California sunset. When you arrive back at the base you will enjoy a nice cup of tea and warm fire. Don’t miss this amazing opportunity! Born in 1917 in Alabama, Noah Purifoy began his sculpture work from charred debris in the mid-1960s. An activist, his work touched on his understanding of the prison system and social change over the decades. 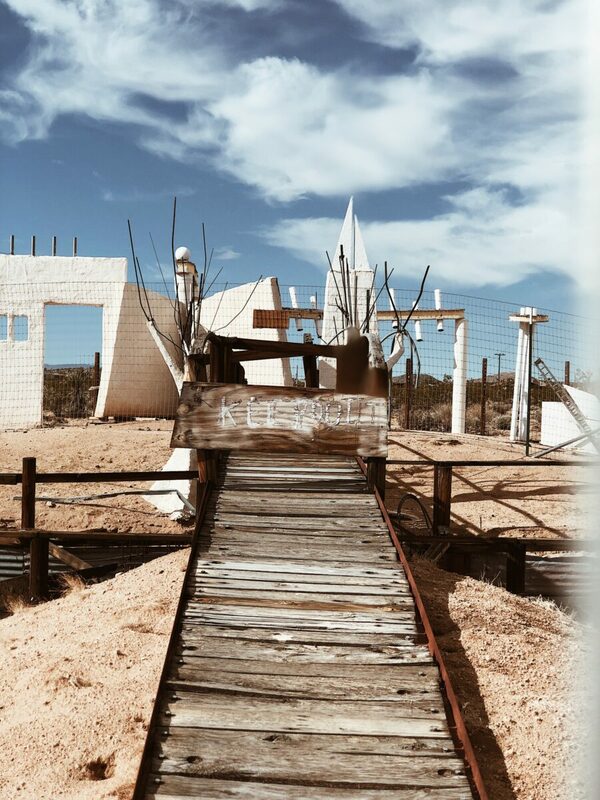 In the 1980s Noah made his way to the Mojave desert and worked for 15 years creating art that spans for ten acres, equipped with large-scale sculptures constructed from junk materials. 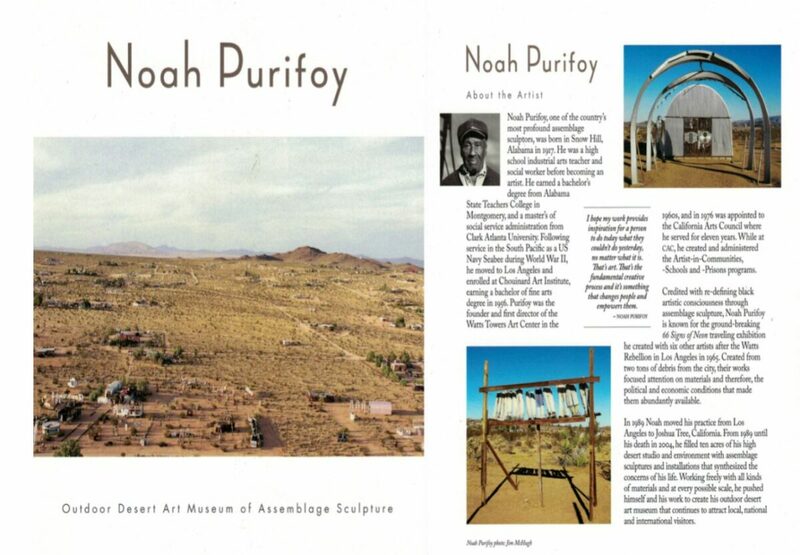 Thus Noah Purifoy Outdoor Museum was born and worked on for over twenty years, and has been preserved since his passing in 2004. This unique exhibit is donation based and features understated pieces in the middle of the high desert. To the naked eye one might surmise this space as merely a pile of junkyard materials haphazardly placed here and there, but when you set foot on the land and take in the talent of a man who had undeniable vision, you’ll learn a bit about history and human experience. 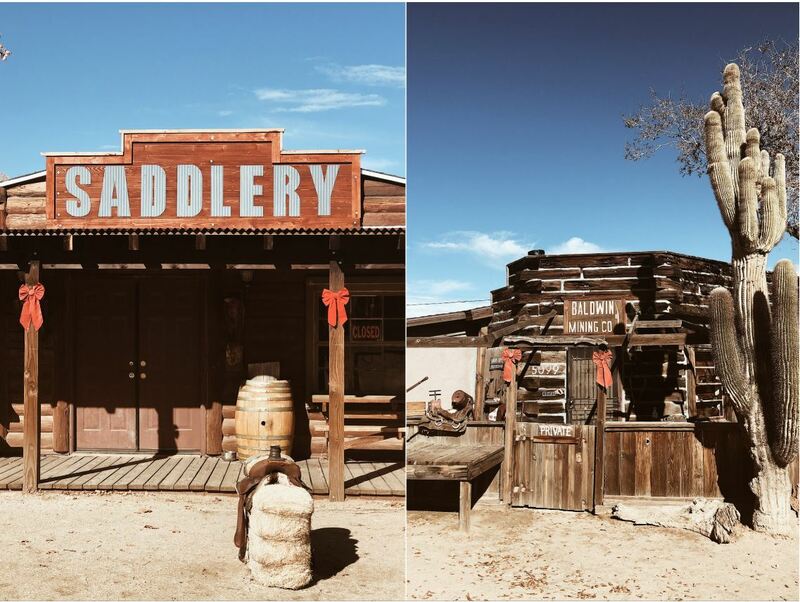 Pioneertown, established in 1876, is just a hop and skip from Joshua Tree. This little oasis is rich in history, and known for its Wild West Past. There is plenty to do and see at this once very famous outlaw hangout turned Hollywood movie set. Make your way to our favorite venue, bar and dinner space Pappy and Harriet’s for all your local honky-tonk needs! Take a stroll through the dirt road and pass an old western barn, bathhouse, saddlery, mining company and be sure to bring your camera. You will literally be transported back to the Old West. There are multiple gift and souvenir shops that feature local artists and great take home items. Don’t forget to check out the Pioneertown Wild West Theatre, where you can enjoy a free wild west stunt show packed with brawls, gunfights, romance, robbery, demolition and you guessed it (or maybe you didn’t), square dancing! Did you enter to win our Joshua Tree Giveaway? 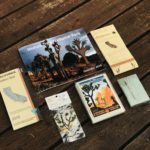 Check out our recent post on How To Win Big with Our Joshua Tree Giveaway to learn how to take home some amazing gifts and be sure to stay tuned for our Part II to our Ultimate Road Trip Guide to Joshua Tree. 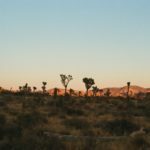 Hey Buddy!, I found this information for you: "The Ultimate Road Trip Guide to Joshua Tree Part I". Here is the website link: https://experiencelife.lamesarv.com/2019/01/the-ultimate-road-trip-guide-to-joshua-tree-part-i/. Thank you.